Pimsleur Unlimited appears to be the evolution of the Pimsleur Approach, but can it hold up to the standards of today’s educational software? When I first encountered the Pimsleur Approach, it was when I first started learning Mandarin Chinese after my Sophomore year of college, in 2007. I had the mp3s on my iPod, which I would listen to daily. The “approach” was a specific way of presenting the audio format. It encouraged students to speak aloud answers to questions. I remember completing the series, but not feeling like I had learned especially much. This was all before I visited the country, though, and thus my motivation to learn was not especially high either. 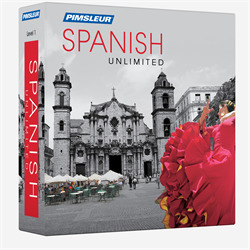 Just recently, I was contacted by a representative to try out something called “Pimsleur Unlimited.” Since I’ve been doing a number of educational software reviews this piqued my interest, and soon thereafter I received a CD in the mail containing the Pimsleur software for Mac OSX. I had requested the Brazilian Portuguese version of the software because it is a language I have never studied before. The following are my opinions, divided into two sections. 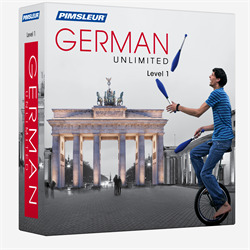 The first is a review of the approach upon which the Pimsleur brand is built, and the second upon the improvements made by the new Pimsleur Unlimited software. Check out the video review below, as well as the full breakdown in the rest of the blog post. The fundamental failing of Pimsleur approach is that it was designed to be an auditory course. This was cutting-edge when it was designed, and most likely a leap forward in educational technology. The world has moved on to more interactive media though, and Pimsleur needs to adapt. Audio is hard to navigate. Scrubbing through content is not a convenient interface. It is also exceedingly inefficient. Re-listening to a lesson generally requires also waiting through unnecessary explanatory dialog. All of this simply means there is a lot of technological overhead to attempting to use a long-form audio file to teach. In a 30 minute Pimsleur lesson, this becomes a problem when some parts are too easy and some parts are too hard. The Pimsleur approach deals with this by telling the listener not to take notes and not to look things up, and then throws him right into a conversation from the very first lesson. The listener is told to repeat the foreign words to practice. There’s no audio or microphone integration, though, so there’s no way for the software to check the answers. Again, the classical Pimsleur approach is just a long-form audio file, which leave it “dumb” compared to modern language learning apps. I personally take issue with the manner in which the material is introduced. As a listener to a Pimsleur lesson, I am told to repeat fragments of words and sentences without being to connect them to the greater whole in a satisfactory way. My favorite part about learning a language is deconstructing it, to try to understand the parts that make up the word. I want to put it in context of etymology, meaning, etc. as quickly and effectively as possible. That is the method which has served me well in learning languages, and what I feel the Pimsleur approach sorely misses with it’s “throw you in the deep end” approach. By being purely auditory, the method also fails to make the learning as active as possible. Visuals would help the product immensely; engaging visuals are one of the reasons that the video series about how to memorize the periodic table is so effective. As I said, I received a copy of Pimsleur Brazilian Portuguese Unlimited in the mail. It rather shocked me to receive a CD containing software in this age of DLC, but I dug out an external CD ROM drive and started the install process. Apparently it required over 10 GB of free hard drive space to install, which felt a bit excessive, but whatever. Sorry for getting computer nerdy on you, but I mean to say that the software felt like it came from a slightly different era. But no matter. How did the actual product hold up? I’ve talked about deconstructing a skill in order to practice it a lot on the blog, and that’s exactly what Speak Easy finally allowed me to do. I could put spellings to the words I was trying to say, see connections to Spanish, etc. At this point, though, it sadly felt like too little too late. I’d like to be able to mouse over individual words and see their definitions and pronunciations, for example, or to see the phonetic alphabet pronunciation. All of these little features are what really help to solidify learning, instead of just parroting back a pronunciation. In today’s technological climate, the whole product felt… unfinished. In the end, it’s not that I dislike the Pimsleur approach or think that it’s bad. I just think that the world has moved on, technology has improved, and the scientific research upon which it was based has also been usurped by newer models. 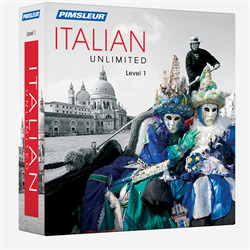 Pimsleur Unlimited, technologically and scientifically, seems behind the times. I have spoken to several people who have become fans of the approach after prolonged usage. There has also been research done which supports the claim that Pimsleur is more effective than Rosetta Stone, for example. So it does work, at least for some people, quite well. Saying Pimsleur unlimited is more effective than Rosetta Stone isn’t saying a heck of a lot, however. I don’t really get all the negativity towards Rosetta Stone that I see in language learning circles. I love it. I learn a ton from RS and I have found it gives me a great feel for a language, really solidifying the base upon which I can build. It’s immersive, well designed, and I love that it doesn’t use the crutch of English.